Each day in 7th/8th grade Bible class I read from a devotional entitled Seeking God’s Face: Praying with the Bible through the Year, which provides a series of Bible verses that connect with the day of the year and the Church calendar. We are doing this as a way to meditate on God’s world daily, but also as a way to read the Word each day before we begin our class. Each day starts with a verse of invitation and during the Passion Week the invitation comes from John 1:29, which are the words of John the Baptist when he saw Jesus coming toward him. This passage is inviting us to remember that during the Passion Week, we are commemorating and remembering that Jesus, the Lamb, came into the world to redeem humanity and the world from its brokenness. In all the events of the Passion Week we are watching as Jesus is acting like a lamb in the Temple that was slowly being led to be offered up on the altar to atone for sins. Today we remember the events on Thursday of the Passion week where Jesus washes His disciples feet and partakes of the Last Supper. This is where the Lamb receives His final nourishment before enduring the cross, serves his followers and reminds us of how to be in communion with Him. Tomorrow we will remember Good Friday with our Grandparents and Special Friends. The students will tell the narrative story of Jesus’ life on earth through the “Tale of Three Trees.” We hope that you can join us to remember the Lamb’s sacrifice on the cross for us. On Sunday I hope that you are able to celebrate that the tomb is empty and Jesus has risen!! The Lamb did not remain dead; He is alive. Please make a note that Grandparents and Special Friends Day is on Friday, April 19, 2019. Please invite your student’s grandparents or special friends to come spend some time at ECS. All special friends, grandparents and parents are invited to our special performance of the “Tale of Three Trees” by the ECS K-6 students. There will be spaces in front of the school to drop off people and then you should park on a local side street and walk into the school. The City of Everett is doing some construction further down on Cedar St., which means that you may have to park further away than normal. Please be mindful of where you park to not block driveways. All K-6 students must wear their dark green ECS t-shirt with jeans or dark colored pants on Friday, April 19 for the musical. Note: PLEASE NO skirts, leggings, sweat pants, or shorts. Are you looking for a summer activity for child/ren. Booster Club Auction Committee has (1) certificate for sale for Camp Gilead Carnation Washington. It is good for one youth camp week FREE! for $25.00, Exp. 08/15/2019. It is available in the ECS Office. Next Meeting Thursday, May 2nd. After drop off time at 8:35 am. Take the stress out of dessert for Easter Dinner! On Grandparents and Special Friends Day Friday, April 19th Booster Club will have pies for sale at the kitchen window after the program. We will possibly have other varieties of pie for sale pending availability from the vendor. Join us as we practice being “Community-Builders” by sharing a meal together, doing a number of literacy activities, and hearing how we can be “Servant-Workers” through participating in the Serve-A-Thon. What does this have to do with fundraising? The Serve-A-Thon day is one example of how our students can serve God and the local community. Donations raised will fund our ongoing work as a school by helping students become life-long servants and stewards of God! In the two weeks before the Serve-A-Thon, students and their families will be asking for monetary contributions to ECS as a way of being sponsored for the service day. Sponsors can make one-time donations or make on-going monthly donations. Our goal of $35,000 -will provide new reading curriculum, new flooring in the main hallway, as well as contribute to the ECS general fund to cover some school operating costs. Donations are tax-deductible as ECS is a 501c3 nonprofit. The ECS flower beds could use a good Spring cleaning and various weeds are appearing around the school!! 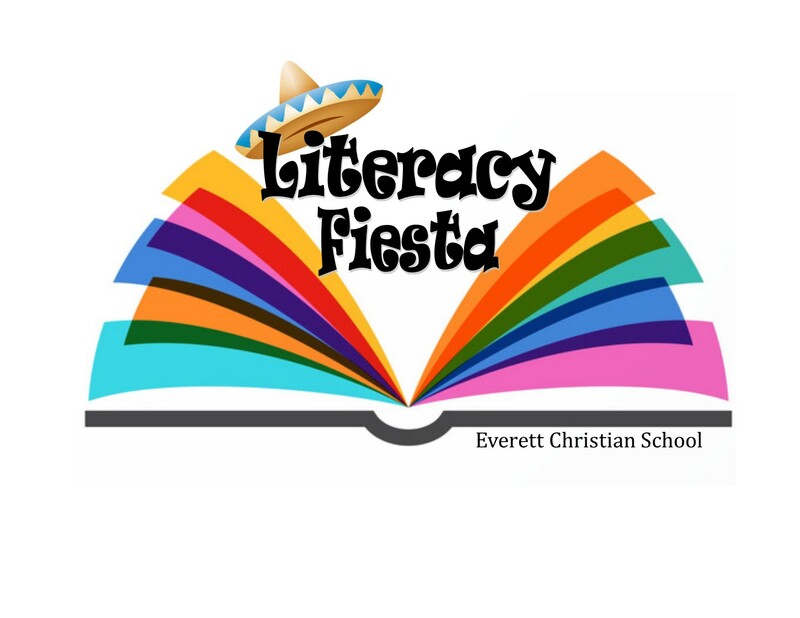 If you are able and interested in helping ECS please contact Mr. Alberts at jalberts@everettchristian.org. Track & Field practices have started!! Practices are on Monday and Wednesday from 3:15 pm to 4:45 pm. Come join us!! More detailed information will be provided at a later date. There will be school on Monday April 29, 2019 instead of a Teacher Growth Day. Preschool and Pre-Kindergarten will have an extra week of classes and end on May 30 and May 31. The last day of school will be Friday June 7, 2019, which will be a half day with the 8th grade Graduation Ceremony at night. Thanks you for your flexibility! The next SCRIP order is due Friday, April 26th no later than 11:00 am. Everett Christian School is excited to announce and re-introduce the SCRIP program that can be a way to for ECS families to reduce their tuition payments! ECS families order gift cards either on-line or via paper copies from over 780 nationwide retailers including Starbucks, Target, Walmart and Amazon. The retailers provide a rebate ranging from 1.5% to 16%. Half of the rebate goes to ECS to pay for administrative fees and to act as a fundraiser while the other half is applied to your family’s account (i.e.4% rebate means 2% goes to the school and 2% goes to the families). In June 2019 we will reduce your tuition payment based on the amount of money that you earned through rebates. In the 2019 school year we will apply the rebates to your January and June tuition payments. Every other Friday the ECS SCRIP Coordinator (Stephanie Hopper) or the ECS staff will order the gift cards and they will be expressed shipped to ECS for pick up the next week. We will send an email to inform families of the pick up date. Then you go and spend your gift cards on products that you normally would purchase anyways. Thousands of non-profits use SCRIP and it is a program that benefits the school, the families and the stores. When ECS previously used the program some families reported earning over one month of tuition reduction! Plus you can have relatives and friends sign up to benefit your families. If you are interested in signing up for SCRIP or need more information check out the website at www.shopwithscrip.com/. Our school codes is DCEAE3ED7L55. Please see below for a copy of the sign up sheet and for a list of participating retailers. We will have paper copies of the sign up sheet available in the ECS Office, or you can create your own on-line account. 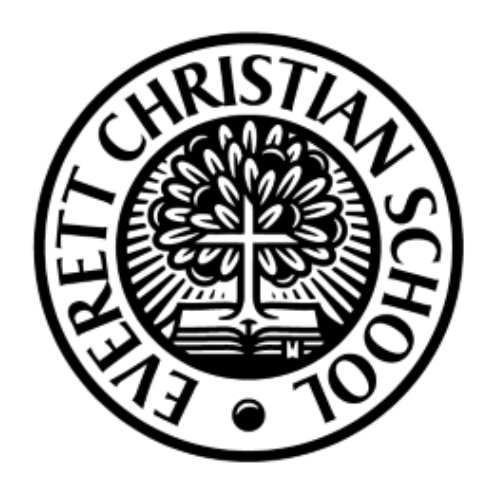 Please contact Mrs. Triezenberg at admin@everettchristian.org, Mr. Alberts at jalberts@everettchristian.org or call the school at (425) 259-3213 if you have any questions or concerns. 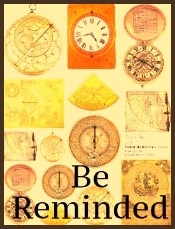 Also you can review the website at www.shopwithscrip.com/. Let’s take advantage of this great program! Thank you to everyone who has submitted Box Tops this year! Help push your child’s class into the next level and keep sending in those Box Tops! 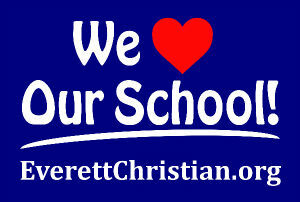 Thanks for your continued support of ECS. Donate your high-end clothing, from infant to adult, to Scholla and they will sell it on their nationwide shopping site, then send us a portion of the proceeds to the School. Find out more at www.schoola.com/schools/everett-christian-school-everett-wa or talk to Melissa Patton at melpatton@gmail.com or 425-312-3530. YOUR ORGANIZATION NUMBER HAS CHANGED. We have 18 households signed up! The Kroger Co. Family of Stores is committed to bringing hope and help to the local neighborhoods we call home. Our stores are on a mission to not just part of, but to help create a stronger community. We recognize that every community has unique causes that need support. Thank you for being such an important organization in our community. We have recently upgraded our system, and as a result your Non-Profit Organization (NPO) has a new account number. We recommend communicating this new number to your members, and updating any marketing materials with this change. Please reference the new number when contacting us for assistance. The previous number will continue to be associated with your organization, however, it will not be visible to your members when enrolling. We encourage you to ask your supporters to link their rewards card to your organization. Community Rewards is easy to use, The more your supporters shop with us, the more money your organization will earn! 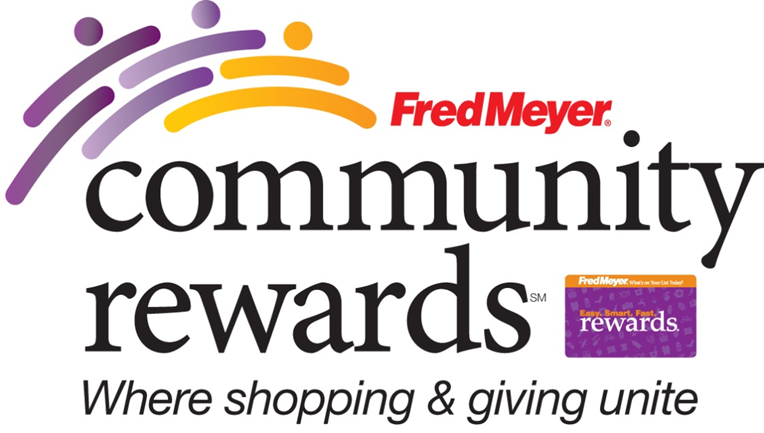 If you have any questions, please email fmcommunityrewards@fredmeyer.com or visit our website at https://www.fredmeyer.com . matching donation from Boeing to ECS. Inquire with your supervisor for more details.